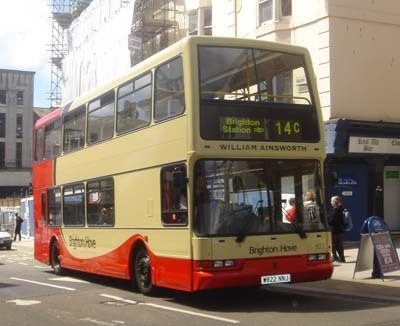 Connections with Brighton and Hove : 1805-1882. 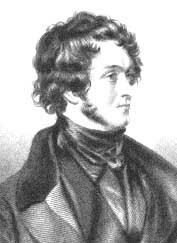 A prolific writer of Victorian historical novels, but went out of fashion even before his own death and has never been revived. 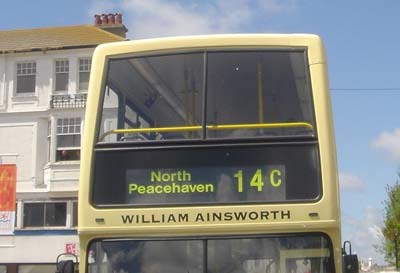 Ainsworth, who lived in Kemp Town, was highly regarded in the nineteenth century, usually known by his second name as Harrison Ainsworth. 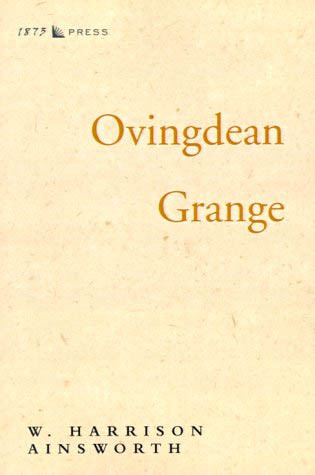 His book, Ovingdean Grange - A Tale of the South Downs - tells of how King Charles II managed to make an escape. 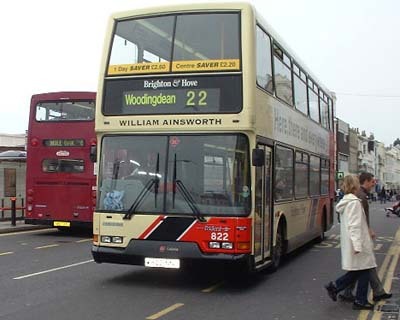 The Grange itself still stands in the village of Ovingdean. 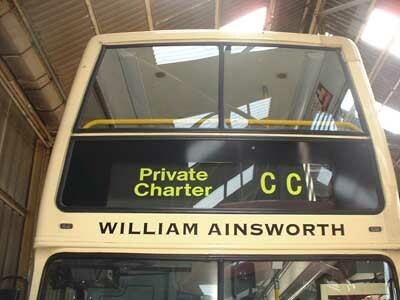 Once run by Brighton Council, it is now privately owned. 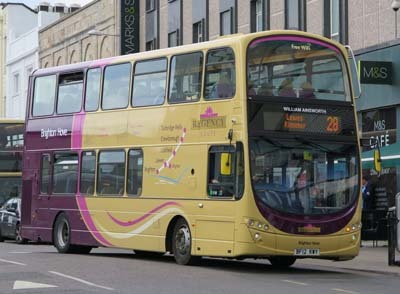 822 Dennis Trident carried name since delivery in March 2000, repainted into new livery May 2005. 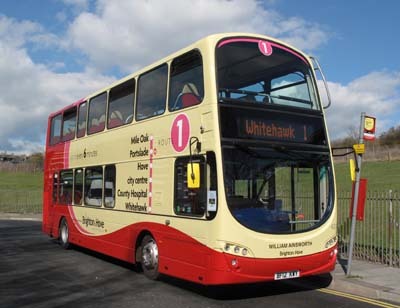 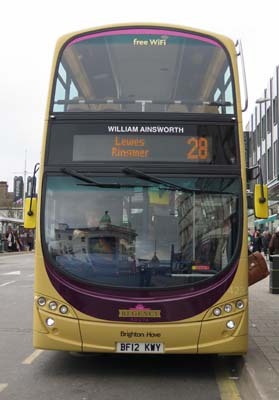 March 2012 name transferred to new Volvo Gemini 423 on Route 1. 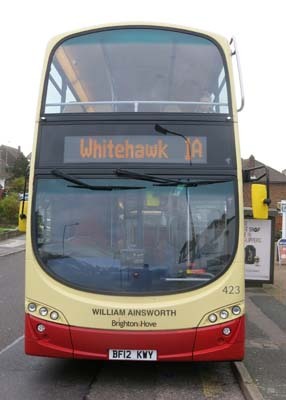 Repainted into Regency livery April 2016.